Find here the best Walker Wellbeing coupons and promo codes. 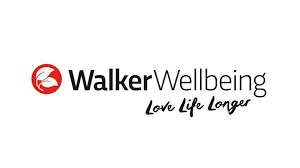 Walker Wellbeing is a collaboration with Dr Ross Walker, one of Australia’s leading cardiologists and other leading healthcare professionals. These supplements offer preventative health solutions for modern day health concerns such as diabetes, insulin resistance, obesity, fatty liver, heart health, arthritis and osteoporosis. For orders over $75, get free delivery. Find here more deals and Walker Wellbeing coupons.